The purpose of art, the Paris-trained artist Amrita Sher-Gil wrote in 1936, is to "create the forms of the future” by “draw[ing] its inspiration from the present.” Through art, new worlds can be imagined into existence as artists cultivate forms of belonging and networks of association that oppose colonialist and nationalist norms. Drawing on Edward Said’s notion of “affiliation” as a critical and cultural imperative against empire and nation-state, Worldly Affiliations traces the emergence of a national art world in twentieth-century India and emphasizes its cosmopolitan ambitions and orientations. 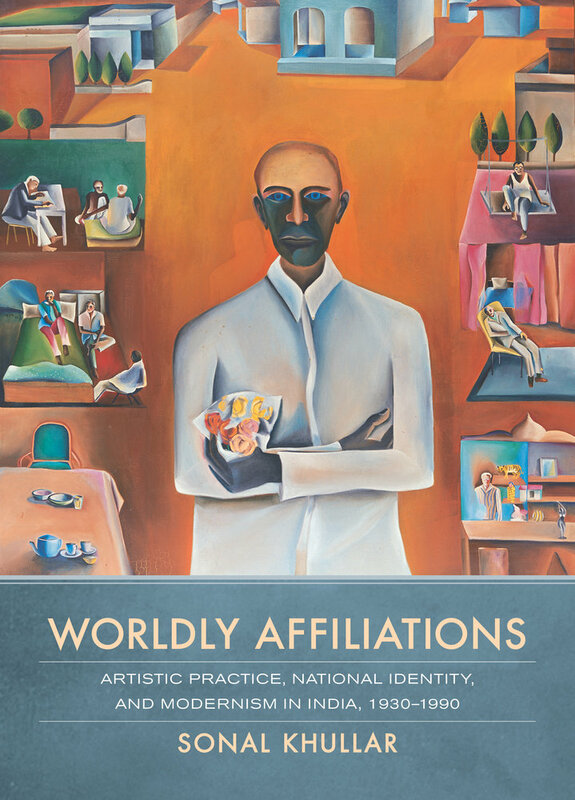 Sonal Khullar focuses on four major Indian artists—Sher-Gil, Maqbool Fida Husain, K. G. Subramanyan, and Bhupen Khakhar—situating their careers within national and global histories of modernism and modernity. Through a close analysis of original artwork, archival materials, artists’ writing, and period criticism, Khullar provides a vivid historical account of the state and stakes of artistic practice in India from the late colonial through postcolonial periods. She discusses the shifting terms of Indian artists’ engagement with the West—an urgent yet fraught project in the wake of British colonialism—and to a lesser extent with African and Latin American cultural movements such as Négritude and Mexican muralism. Written in a lucid and engaging style, this book links artistic developments in India to newly emerging histories of modern art in Asia, Africa, and Latin America. Drawing on original research in the twenty-first-century art world, Khullar shows the persistence of modernism in contemporary art from India and compares its function to Walter Benjamin’s ruin. In the work of contemporary artists from India, modernism is the ground from which to imagine futures. This richly illustrated study juxtaposes little-known, rarely seen, or previously unpublished works of modern and contemporary art with historical works, popular or mass-reproduced images, and documentary photographs. Its innovative art program renders newly visible the aesthetic and political achievements of Indian modernism. Sonal Khullar is Assistant Professor of South Asian Art at the University of Washington, Seattle.